This is an art class that takes two, one hour, sessions to finish. Before the first class I trace the students’ profiles using an overhead projector. Some amazing results. The supply list and directions are under the 6th Grade tab in the sidebar. This could be done in any of the elementary grades, but you’ll want to cut the profiles out for the younger classes. 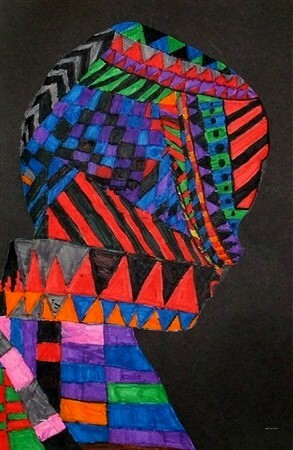 This entry was posted in 6th Grade and tagged art and crafts for kids, art projects for children to make, art projects for kids, class, classroom art projects, elementary, elementary art projects, grades. Bookmark the permalink.